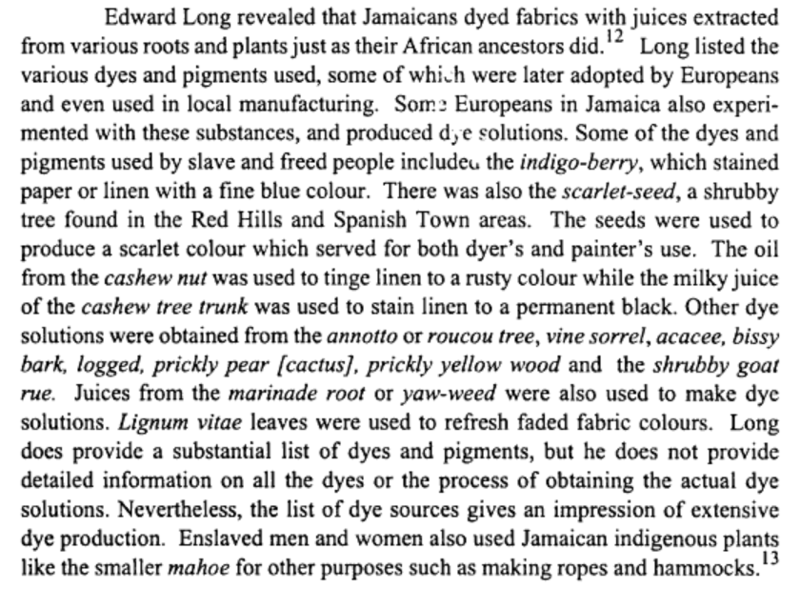 I cam across an interesting paper today and wanted to share a few things I learnt about the way enslaved Africans in Jamaica made their textiles. Unlike cotton spinning and weaving that was seen in America, there is no evidence to show this was widely practised in Jamaica by the slaves. This is because cotton was not as abundant in the British West Indies as it was in America. The British West Indies focused on the growth of sugar cane and besides, if cotton was grown in Jamaica for the the purpose of weaving textiles it would have impinged on Britain’s cotton manufacturers! 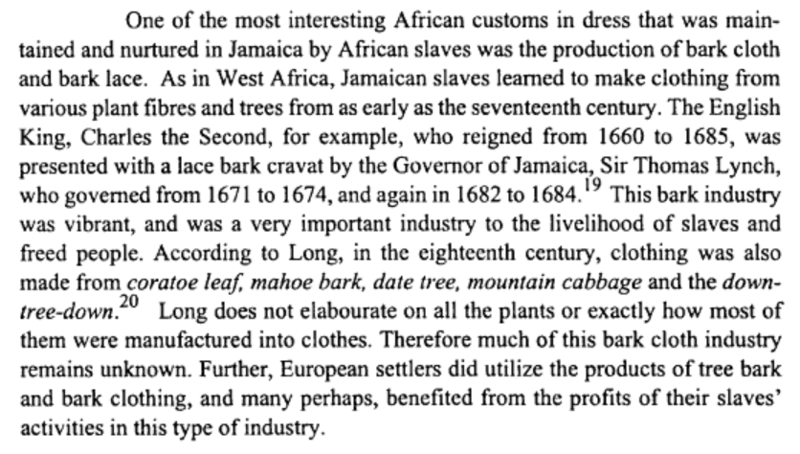 However, Jamaican slaves were very resourceful and they made clothing from plant fibres. 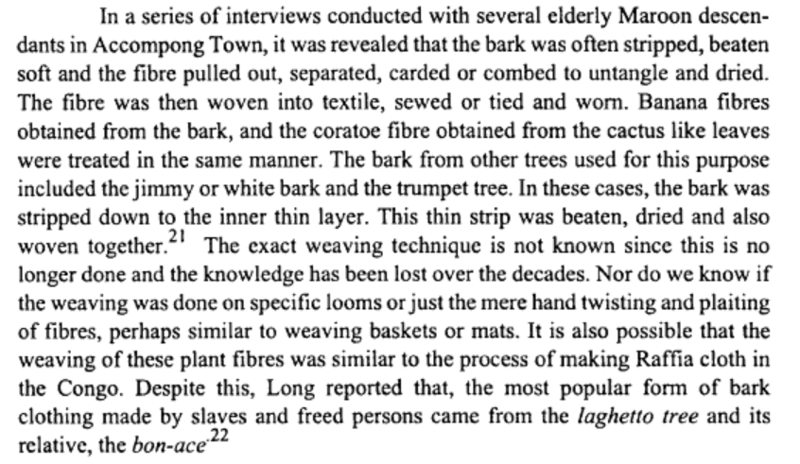 The bark cloth is made from the inner bark of the laghetto (lace-bark) tree and is a lot more durable than that from bon-ace and thus used much more. “The end product resembled fine lace, but could also imitate linen and gauze”. It was used for a multitude of things including hammocks, blouses, frills for skirts and dresses, and rope. Jamaican lace-bark slippers. 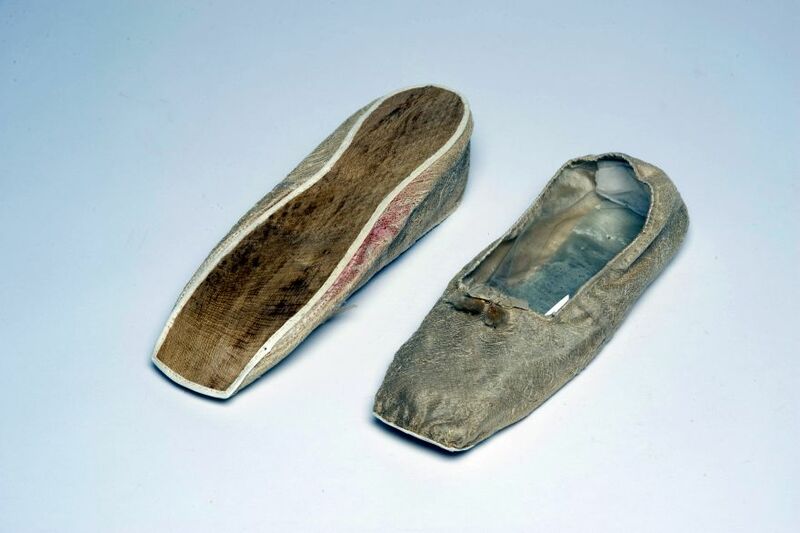 Soles made of cocoa nut bark India Rubber Fibre c. 1827. On display at Kew Gardens (Cat No. 67770 ). Donor Dr Bowerbark. 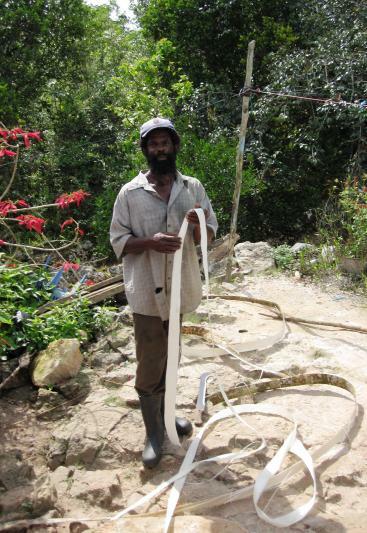 The production of Jamaican bark cloth continued to be an important industry through to the nineteenth – early twentieth century. However, like other ‘traditional crafts’, interest declined and unfortunately today much of the history has been lost and lace-bark is a largely forgotten material.